Malpani Group introduces India's largest water park - Wet N Joy at Lonavala. Wet N Joy offers 25+ international rides and attractions including India's largest wave pool spread across 60000 sq ft, offering 8 different types of amazing waves with musical thrill. Wet N Joy has also launched - Extreme River and Master Blaster for first time in India. 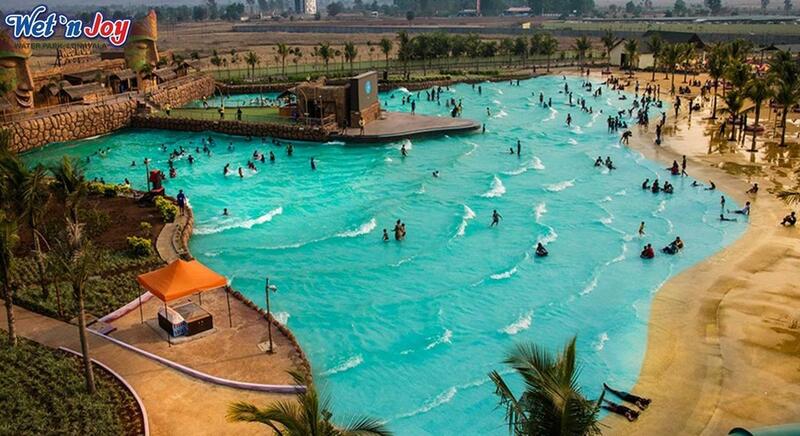 Located conveniently between Mumbai and Pune on the Old Mumbai Pune Highway, the water park can be spotted from the highway itself. With 25+ acres of the picturesque spread, in the middle of mountains and clouds, one can enjoy the Family as well as Thrill Rides. Wet N Joy provides the option of three multi-cuisine restaurants with mouthwatering delicious food and beverages at very reasonable prices. Overall, it's a must visit place and a great spot for friends and family outing!